ARCHIVE: MINUTES TO POST…ROAD TO THE TRIPLE CROWN 2018 | COFFEEBREAKWITHFRIENDS! Drape: We will find out here if he is a horse for the ages, and I wish him and everyone associated with him good luck. I’ll be rooting for, but betting against. Hoppert: He towers over his peers, both literally and figuratively, and this is his race to lose. But a sixth race since mid-February, especially with the past two coming on sloppy tracks, is a tall task. But I hope he proves me wrong. Drape: He lost all chance breaking from the No. 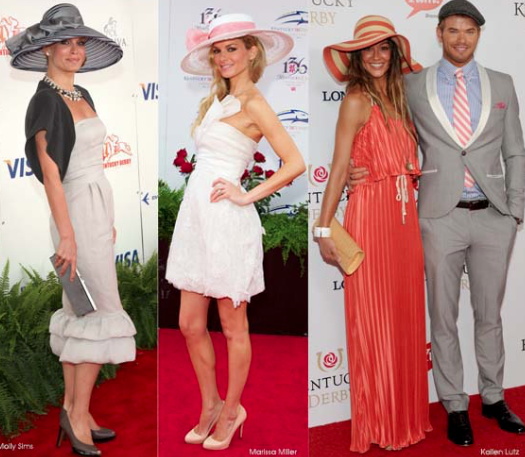 2 post at the Kentucky Derby — so draw a line through that race. That leaves a colt with a grinding style and the stamina to last a mile and a half at a huge price. Hoppert: His 16th-place Derby finish doesn’t scream bet me, especially because his somewhat-clean trip doesn’t really give him any excuses. Drape: He earned his role as a potential spoiler by giving Justify all he could handle in the closing strides of the Preakness. 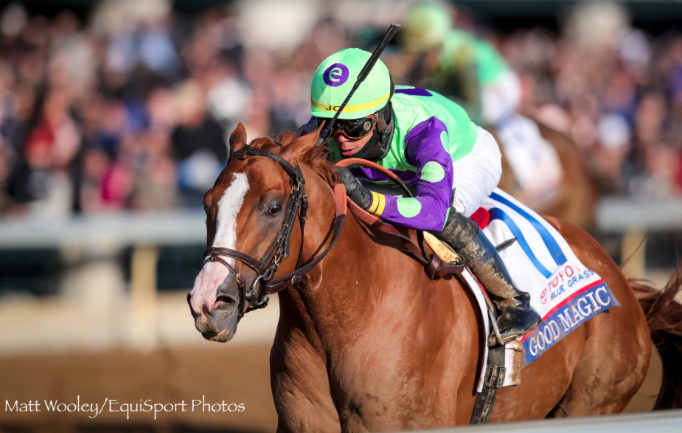 Hoppert: This gritty colt with an old-school trainer has put together back-to-back surprising finishes in the Derby (sixth) and the Preakness (second). Don’t leave him out of your exotics. Drape: This colt deservedly is going to take a lot of money. He is lightly raced, bred for the distance and in expert hands. Hoppert: A Hall of Fame trainer, a star New York jockey, and a sire, Tapit, who has produced three of the past four Belmont winners. If there’s an upset, this is likely the one who is pulling it off. Drape: It’s odd that Baffert would put in a rabbit for a colt like Justify, who is his own rabbit. He has led virtually every step of the way in all his victories. Hoppert: Justify’s stablemate is in this race to help set the pace. He won’t be around at the finish. Drape: This one is strictly for New England Patriots fans who will bet him down, then spend hours on talk radio saying Gronk gets no respect. Hoppert: The overseas invader has never raced on dirt and hasn’t faced competition this talented. Plus, he’ll take money because of his name. Pass. 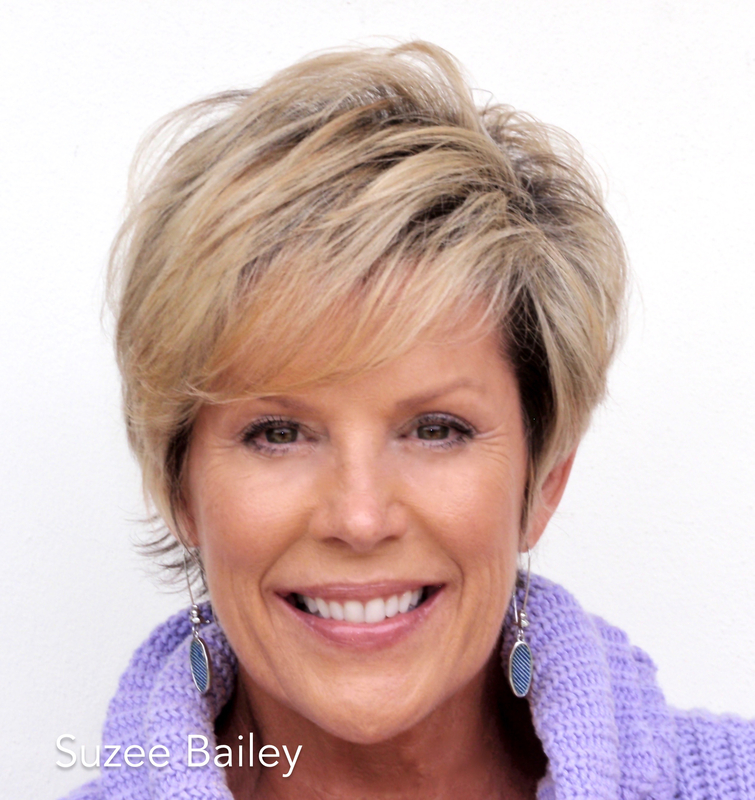 Drape: He finished big in Baltimore and offers a pedigree that is long on stamina. Still, he’s lightly raced and you have to wonder how much the Preakness took out of him. Hoppert: The sire of this third-place Preakness finisher is Curlin, who had stamina and speed, and his dam is Temptress, by Tapit. It’s certainly tempting to think he will hit the board. Drape: Like Free Drop Billy, this colt was compromised at the start of the Derby. Still, he fought on and has been working lights-out at Belmont ever since. The pick. Hoppert: The ninth-place Derby finisher is also by Curlin (see above), and his dam is a half sister to a Belmont runner-up. The combination of Pletcher (three Belmont wins) and Velazquez (two) puts him above Tenfold in my book. Drape: This colt should keep Justify and Restoring Hope company into the stretch. He has been fierce in the lane before. He is not the worst long shot on the board. Hoppert: The speedy 17th-place Derby finisher will also go to the lead, and under the right circumstances, he can maybe hang around for a piece at the end. Drape: This guy has yet to live up to the buzz he has generated on the West Coast. Don’t think there will be a breakthrough today. Hoppert: He won the Peter Pan on this track, but he’s in over his head at this distance and versus this bunch. Trainer Bob Baffert leads Justify through the shed row at Belmont Park on Wednesday. 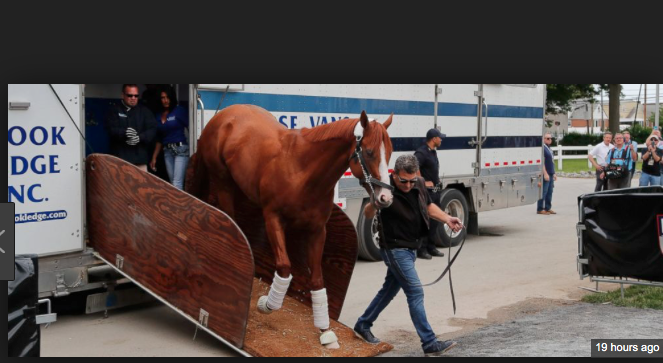 ELMONT, N.Y. – Justify, who will make a Triple Crown bid in Saturday’s 150th Belmont Stakes, arrived at Belmont Park on Wednesday at approximately 2:15 p.m. Eastern after a flight from Kentucky, where he had been based since his victory in the Preakness Stakes. Justify was led off the horse van by assistant trainer Jim Barnes, who then passed the lead shank to trainer Bob Baffert, who took Justify around the shedrow several times before relinquishing him to groom Lalo Luna. Justify, who won the Kentucky Derby five weeks ago, is scheduled to train at Belmont Park on Thursday and Friday before his Triple Crown bid on Saturday. Baffert’s other Belmont Stakes starter, Restoring Hope, accompanied Justify on the flight from Louisville and the van ride from Islip Airport. The first Belmont in the United States was not the famous stakes race or even the man for whom it is named. Rather, the first Belmont was a racehorse that arrived in California in 1853 from his breeding grounds of Franklin, Ohio. 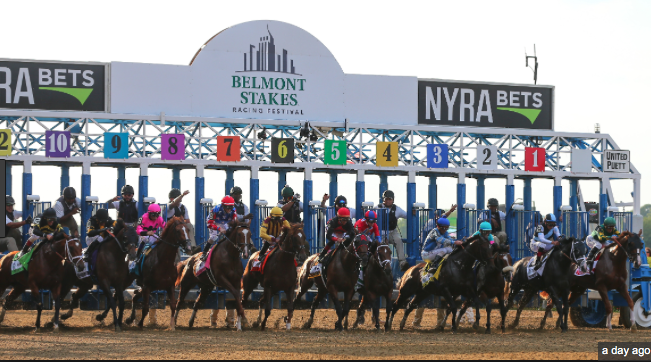 The Belmont Stakes, however, is named after August Belmont, a financier who made quite a name and fortune for himself in New York politics and society. Obviously, Mr. Belmont was also quite involved in horse racing, and his imprint is even intertwined within the history of the Kentucky Derby. The Belmont Stakes was run at Jerome Park from 1867 to 1889; at Morris Park from 1890 to 1904; at Aqueduct from 1963 to 1967. Not run in 1911 and 1912. Run at a mile and five furlongs from 1867 to 1873; a mile and a quarter in 1890, 1891, 1892, 1895, 1904 and 1905; a mile and a furlong in 1893 and 1894; a mile and three furlongs from 1896 to 1903 and from 1906 to 1925. No time is taken in 1907 and 1908. Run as a Handicap Stakes in 1895 and in 1913. 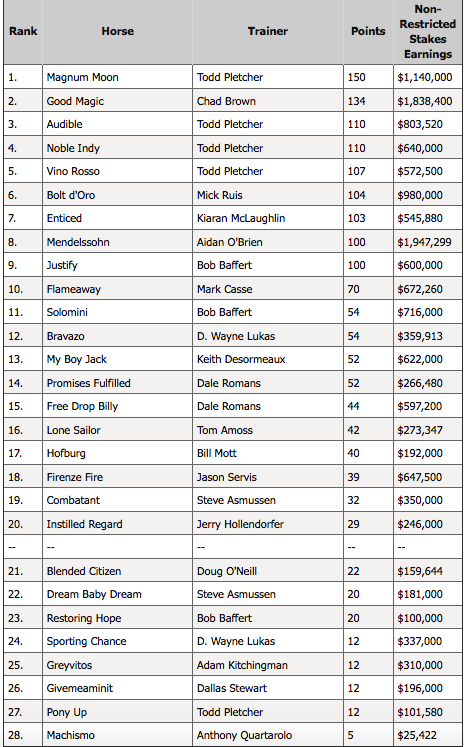 The value for the 1987, 1988 and 1992 winners includes the $1,000,000 Triple Crown point system bonus. In front of a capped crowd of 90,000, the field of eight headlined by American Pharoah, loaded into the gate. Everyone from the fans to staff to the Zayat family held their breath as the gates flew open. American Pharoah broke and went right to the lead at the first turn. Coming into the home stretch the crowd increasingly grew louder and louder cheering on the soon to be 12th Triple Crown Champion. 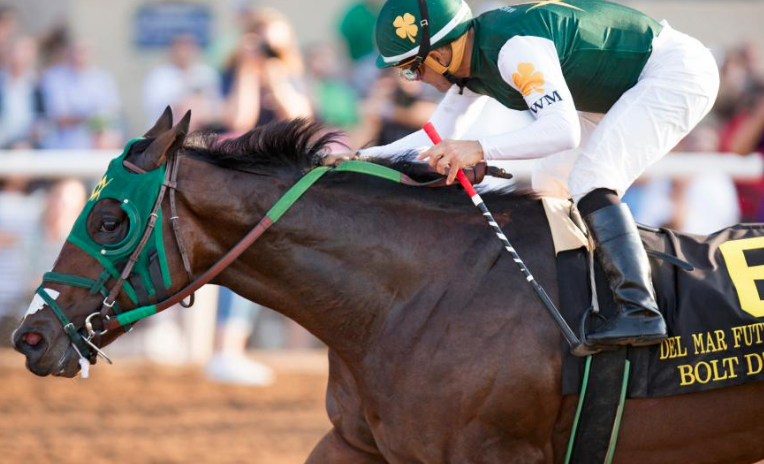 Victor Espinoza opened him up as he made his “run for glory.” He glided across the finish line at a 5 ½ length victory and with a time of 2:26.65. It was the fastest Belmont stakes since Point Given in 2001 and the second fastest to the Triple Crown winner, Secretariat. The crowd erupted in euphoria, the 37-year wait was finally over. Tears, laughing, and cheering amongst a most grateful Belmont crowd will be remembered for years to come. the slowest Preakness Beyer Figure since 1991. We already know Justify is a very special horse. He sealed that deal when he became the first in 136 years to win the Kentucky Derby without having raced at 2, and only strengthened his case when he won the Preakness to now stand on the verge of becoming only the 13th to ever sweep the Triple Crown. And we already know Justify is a fast horse. No 3-year-old so far this year has bettered the 107 Beyer Figure he earned winning the Santa Anita Derby. In fact, Justify currently owns three of the five highest 3-year-old Beyers this year at any distance. The above is stated for context for what I’m going to note next. As tremendous as Justify is, his Preakness was slow. It was historically slow. It was, to be precise, the slowest Preakness in terms of Beyer Figures since Preakness Beyers were first made available to the public in 1991. The 97 Beyer that Justify received for his Preakness performance fell just shy of Prairie Bayou’s previous low of 98 in 1993. It was also five points shy of the 102 American Pharoah got in his Triple Crown year of 2015, but I always considered that number a best guess under the circumstances. A wild storm before that race changed the track completely, and made generating a truly reliable number almost impossible. Notably, Justify’s Preakness Beyer fell a staggering 21 points short of the best-ever published Preakness Beyers of 118 earned by Silver Charm in 1997, and Smarty Jones in 2004. 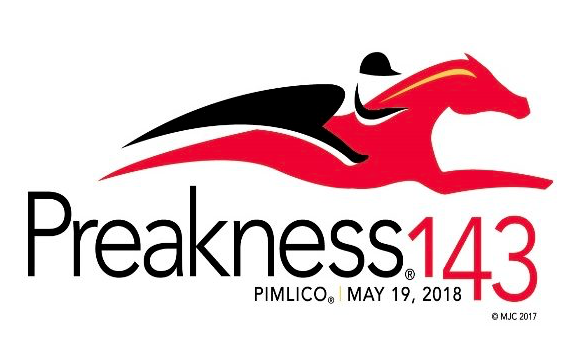 Given the value of one length at the Preakness distance of 1 3/16 miles, that 21-point gap equals a difference of approximately 16 lengths. That’s a lot of lengths. Justify (2018) 103 97 ?? We are obviously dealing with a small sample size, but I found two things interesting. First, the only one of these 10 Kentucky Derby/Preakness winners since 1997 who improved Beyer-wise from the Preakness to the Belmont was the only one who completed the Triple Crown sweep – American Pharoah. However, as I noted above, you have to be careful with American Pharoah’s Preakness Beyer, and it’s best not to stake your life on his three-point improvement off the Preakness in the Belmont. Of course, I’ll Have Another didn’t start in the 2012 Belmont, so we don’t know if he would have earned a lower Beyer in the Belmont like every other horse on this list except for Charismatic. Charismatic matched the 107 Beyer he got in the 1999 Preakness in the Belmont, but it’s easy to think that with a fair shake, he might have done better. Don’t forget, Charismatic suffered a career-ending injury finishing third in his Belmont and was pulled up just past the wire. One other thing I found intriguing on the second table is how the two horses who tailed off the most significantly Beyer-wise from the Derby through the Preakness (I’m leaving out American Pharoah for reasons already noted twice), as Justify did going from a 103 at Churchill to that 97, are the two who performed the worst in the Belmont. War Emblem in 2002 fell off five Beyer points from the Derby to the Preakness, and finished a distant eighth in the Belmont after stumbling at the start, getting an 82 Beyer. Big Brown fell off nine points from the Derby to the Preakness, and he was distanced, and eased in the Belmont. Now, if you still want to feel all warm and fuzzy about Justify’s prospects in the Belmont and for a sweep of the Triple Crown, go right ahead. There is plenty of reason to. Maybe Justify just needed to get a sub-par race out of his system, and it says a lot that he was able to win a race like the Preakness while delivering the weakest performance of his still-brief career, at least from a Beyer standpoint. And while history suggests Justify won’t run appreciably faster in the Belmont – take another look at that second table – no one in his class has yet run faster than he. Even if Justify doesn’t run especially fast in the Belmont, chances are no one else in the field is capable of running faster. But you can literally see in the tables above why a lot of folks will be betting against him on Belmont Day. ** One thing is for certain, Justify’s path to a Triple Crown was made easier when it was announced Friday that Audible, winner of the Holy Bull and Florida Derby, a rallying third in the Kentucky Derby, and the one many considered to be Justify’s biggest threat in the Belmont, will not start. Justify and Audible share common ownership and I don’t blame the owners for making the decision they did. I’d make the same decision if I were in their shoes, and I think every other sane person would, too. Sure, it’s not ideal that Justify won’t be facing the best competition available in the Belmont, but if he wins, the memory of that will quickly fade. And let’s not forget that Justify was clearly superior to Audible when they met for the first time in the Derby. But I wish Audible’s connections would have said he was passing only because of common ownership instead of also saying Audible would be “freshened” for a summer campaign. I’d be worried about Audible if he really needed to be freshened up. Here’s why: Audible was coming off a more-than-eight-week rest when he won the Holy Bull. He then had eight weeks between the Holy Bull and the Florida Derby, five weeks between that and the Kentucky Derby, and he would have had another five weeks into the Belmont. Not exactly a demanding schedule. in his first day of training since winning the Preakness. LOUISVILLE, Ky. – Without any of the drama or whispers that accompanied his first day of training following the Kentucky Derby, Justify returned to training Thursday morning at Churchill Downs for the first time since his epic Preakness triumph amid building excitement toward the final leg of the Triple Crown, the June 9 Belmont Stakes. Justify, who remained undefeated in five career starts when capturing the Preakness last Saturday at Pimlico by a half-length over Bravazo, showed no signs of wear from his demanding campaign on Thursday, with an easy gallop of nearly 1 1/2 miles on a perfect spring morning. Regular exercise rider Humberto Gomez was aboard the chestnut colt for a routine that took less than 10 minutes. 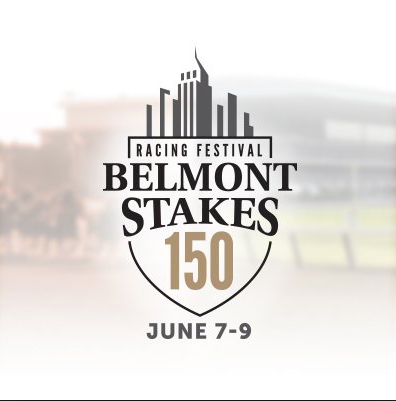 Afterward, assistant trainer Jimmy Barnes expressed his gratitude for and satisfaction with the colt, who will be gunning for a Triple Crown sweep in the 150th Belmont Stakes. The colt’s demeanor and constitution “makes it very easy for us,” said Barnes, who as usual is deputizing here in the temporary absence of his boss, Hall of Fame trainer Bob Baffert. “This horse carries his weight very well and has just made it very easy for me,” Barnes said. After the May 5 Kentucky Derby, Justify appeared lame in his left hind foot. 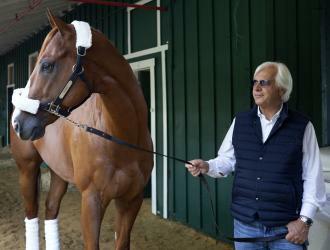 Baffert and Barnes treated Justify for a minor foot bruise, which momentarily raised concerns about whether the colt could continue along the Triple Crown trail. No such issues have emerged in the Preakness aftermath. In his Thursday return to training, Justify jogged clockwise to the wire from the 5 1/2-furlong backstretch gap, then turned around for his gallop. Barnes, astride the stable pony, met him and Gomez at about the five-furlong pole following the colt’s second time around the one-mile Churchill oval, and they quickly walked back together to Barn 33. 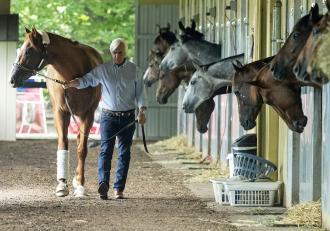 Baffert, who ended a 37-year Triple Crown drought three years ago as the trainer of American Pharoah, is scheduled to return from his California home to Louisville this weekend to oversee training for at least a couple of mornings. Baffert has said Justify might breeze twice here before being flown to New York on June 6, including this Sunday or Monday. Justify is one of five possible starters for the Belmont based at Churchill, where officials have reserved an exclusive training period of about 10 minutes (7:30-7:40 a.m.) each morning for those horses. Fans can watch the training session from the clubhouse on the frontside, a local tradition that dates to the 1997 Triple Crown campaign of Silver Charm, trained by Baffert. 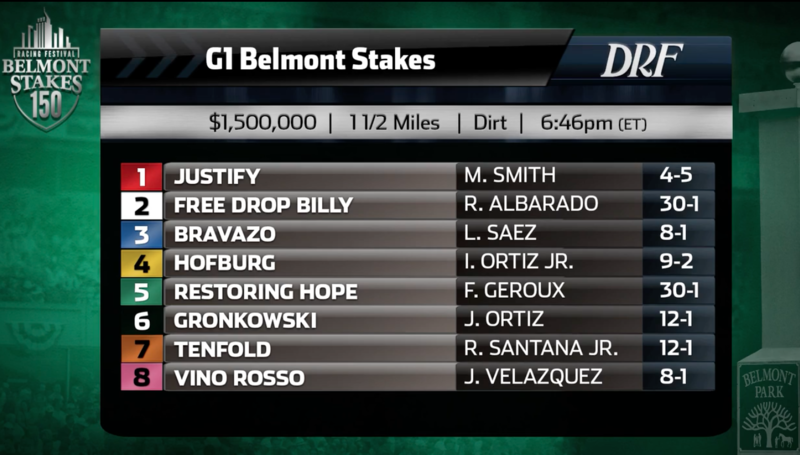 The other Belmont hopefuls stabled here are Bravazo, Tenfold, Restoring Hope, and Free Drop Billy. 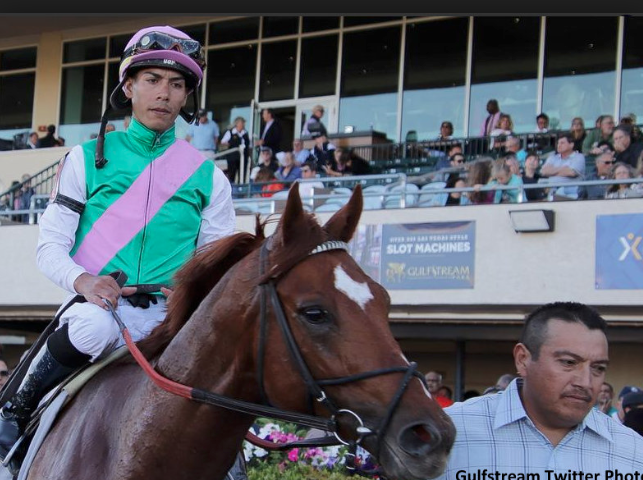 The charter that will transport Justify to Islip, N.Y., on June 6 is one of two charters being booked out of Louisville International Airport for that week by Tex Sutton, with the other scheduled for the previous day. Quip won the Grade II Tampa Bay Derby and finished second in the Grade I Arkansas Derby, giving him enough points to get in the Kentucky Derby; however, his connections preferred to point him to the Preakness. Only four “new shooters” over the past 28 years have won the Preakness, but don’t forget about him in your exotics. Lone Sailor was second in the Grade II Louisiana Derby and eighth in the Kentucky Derby. His running style, preferring to sit way back off the pace, might be a negative here against early speedsters and stalkers. The Hopeful winner as a 2-year-old hasn’t taken the next step as a 3-year-old after winning two of three starts as a juvenile. Diamond King won the Federico Tesio Stakes for his fourth win in six career starts. He has missed the board only once: last fall in the Kentucky Jockey Club Stakes at Churchill Downs. 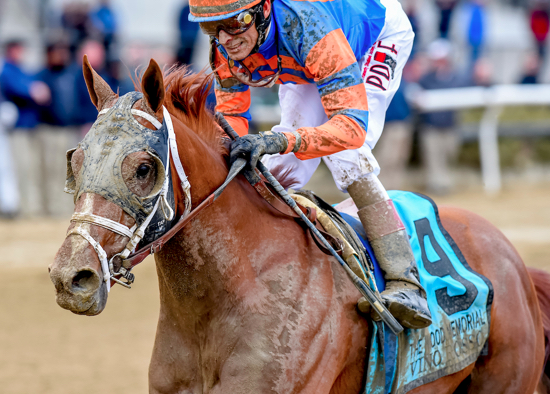 Last year’s Breeders’ Cup Juvenile winner had a solid showing in the Kentucky Derby, finishing second, and this son of Curlin appears well suited for the 1 3/16-mile Preakness. Tenfold ran fifth in the Arkansas Derby in just his third career start. But you have to respect Asmussen, a Hall of Famer who has two Preakness wins: Curlin (2007) and Rachel Alexandra (2009). The unbeaten colt broke the “Curse of Apollo” in the Kentucky Derby, in a rainstorm, and on a sloppy track. Baffert is 4 for 4 in the Preakness with his Derby winners. Preakness favorites are 72 for 142 in the second leg of the Triple Crown. Tough to beat here. His connections won the 2013 Preakness with Oxbow and, like him, Bravazo’s best races have come when he has stalked the early pace. Monomoy Girl comes into the Oaks with only one defeat in 6 career starts. She started her career as a one-run turf horse but transitioned into a front-running dirt horse even though two back she won the Rachel Alexandra from last.. which demonstrates she has extreme versatility. I do believe she may be a bit better with a target and certainly doesn’t need the whip. She also has a win over the CD main strip. Her post fourteen is not ideal but I believe that jockey Florent Geroux can use some of her speed to clear most of the field and drop in behind the three pacesetters as they run into the first turn. Midnight Bisou lost her only two starts last year but is a perfect three for three this year including the SA Oaks in her latest race. She can sit mid-pack if the pace is moderate but she has a tremendous late kick and can close a ton of ground late if the pace gets fast and hot. Rayya-the Dubai shipper now in the care of Bob Baffert has two wins in her five starts. 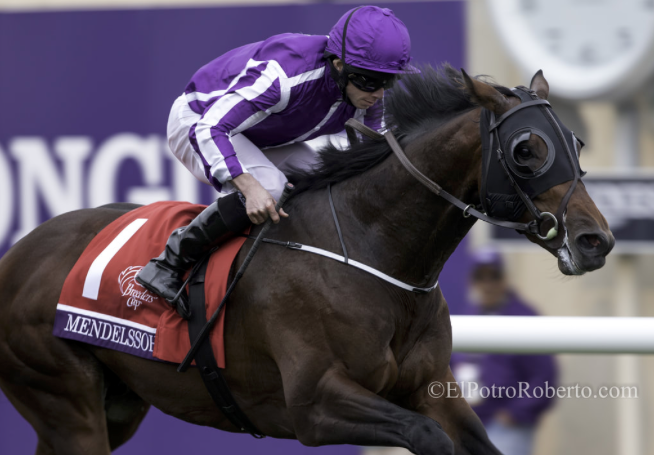 She won the UAE Oaks and next out was a distant second in the UAE Derby to Mendelssohn. She has a ton of early speed and has been in front in every race except the Derby when she sat in the pocket behind front-running Mendelssohn and even though she was beaten 18 lengths, it was a good effort and showed she can sit behind horses. She was second twice( Guineaus trial and 1000 Guineaus) to her stablemate Winter Lightning but was forced to run fast early and was caught late. In the Okas, she made an easier lead and had plenty when she turned for home. If allowed an easy lead she will be tough to beat but I suspect that Monomoy Girl will right on her tail. My Miss Lilly..couldn’t close enough ground sprinting at GP in the Forward Gal, so she went back to Aqueduct to run in the one-turn mile Busher Stakes. She hit the gate at the start then had a ton of traffic in the stretch but still managed a good third and was arguably the best that day. One she stretched out in the Gazelle she won although it was close and only carried 114 lbs. She will definitely like the extra 1/16 of a mile in the Oaks. Chocolate Martini.. claimed in Feb for $30,000 and won her next two starts including the FG Oaks in her most recent race form well back. There is a ton of speed in this year’s race so she would have a punchers chance. Coach Rocks. Broke her maiden at GP in mid-Feb leading gate to wire on easy fractions then came back in the GP Oaks to win impressively from well back of the pace even with a bit of trouble on the far turn. Big jump up and she will need to have another big improvement to win the KY Oaks. Sassy Sienna..has won two of her four starts this year and most recently the winner of the Fantasy over Wonder Gadot and the speedy run off Amy’s Challenge. SS wasn’t overly impressive in the win but her jockey Gary Stevens was able to position her much closer to a fast pace with still enough left to get the win. Hasn’t shown she good enough to win the KY Oaks. Wonder Gadot, is usually close but rarely a winner. She win the Demoisel last fall at Aqueduct but has since finished less than a length behind the likes of Sassy Sienna, Chocolate Matini, Eskimo Kisses and third by 3 to Monomoy Girl in the Rachel Alexandra at the FG. Her stalking style gives her options in KY.
Take Charge Paulafour wins in stakes when sprinting but finished second both times going long in the Davona Dale and GP Oaks. She’s talented but the added distance of the KY Oaks is not her friend. Cosmic Burst has a win over the track last fall and won the Honey Bee stakes at Oaklawn this spring but she hasn’t run nearly fast enough to beat many of these in here. Classy Act trained by Bret Calhoun has been a real speedster since adding blinkers four races back. She did win her first two with them but as the races lengthened her speed with blinkers was less effective. Patrona Margarita is also trained by Bret Calhoun and won the Pocahontas here last fall so she likes the track but was beaten 13 lengths by Monomoy Girl in the Ashland. 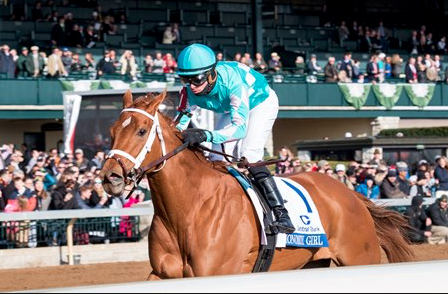 Monomoy Girl drew Post 14 and opens as the 2-1 morning-line favorite for the 2018 Kentucky Oaks. Midnight Bisou is the second choice at 5-2 in the No. 10 spot. Trainer Brad Cox will have the field bookended with Monomoy Girl, with Florent Geroux aboard, on the outside and Sassy Sienna, at 15-1 with Gary Stevens aboard, on the rail in the No. 1 position. 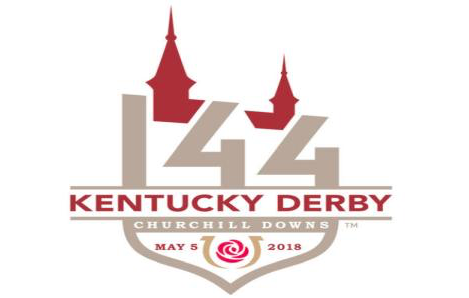 The 144th running of the Kentucky Oaks will be held at 6:12 p.m. Friday at Churchill Downs. The 1 1/8, Grade 1 stakes race has a $1 million purse. Derby Picks coming later today! It’s a very competitive Derby field this year and I think there is very little separation between the top five. The likely favorite heading into Churchill Downs for the most exciting two minutes in sports will be the lightly raced but brilliant colt named Justify. Trained by four-time Derby winner Bob Baffert(who also won the triple crown with American Pharoah in 2015), Justify has three wins in as many starts and most recently winner of the Santa Anita Derby over Bolt D’Oro, would become the first horse since Apollo in 1882 to win the Kentucky Derby without having race as a two year old. With post position number seven, and drawn outside the likely pacesetter Promises fulfilled, jockey Mike Smith should have Justify in a stalking position going into the first turn and should get the perfect trip from there. Mendelssohn is the favorite in Europe but likely the second choice here in America based upon his brilliant 18 ½ length victory in the United Arab Emirates Derby held in Dubai back on March 31 in track record time. He like Justify will race close to the lead early and post fourteen is far enough outside to allow jockey Ryan Moore to track the front-runner with little dirt getting kicked back in his face. As long a nothing goes wrong at the break this sort of early trip should give him a chance to win if he’s good enough. The fine line that jockey Moore has to ride is that of using his colt enough to get a good position but still saving enough for the finish. Bolt D’Oro was the odds-on favorite in last year’s Breeders Cup juvenile but finished third after a very wide trip and should have finished closer with a better trip. He has finished second in his two starts this year to really good horses. First to McKinzie in the San Felipe (even though he was awarded the victory due to interference in the stretch), and then the brilliant Justify in the recent Santa Anita Derby. His sire Medaglia D’Oro is one of the hottest in the country and that heritage will certainly help him be better at the added distance in Kentucky. With new jockey Victor Espinoza aboard, he should be six or seven lengths behind the leaders and make his move at the far turn. He has looked exceptional training this week at Churchill Downs and is a serious threat to Justify this time around. Vino Russo may attract a lot of attention as well based upon his recent win in the Wood Memorial at Aqueduct race track in New York as well as his trainer Todd Pletcher and jockey John Velazquez who teamed up to win last year’s Derby with Always Dreaming. Vino Russo typically comes from mid-pack and the distance of the derby will be to his liking. This colt by Curlin was very highly thought of in Jan but was a bit disappointing in his Florida campaign. His win in the Wood Memorial while running widest of all on both turns, reinforced his connection’s earlier opinions of his talent level. Audible is another from the Todd Pletcher barn and his win in the Florida Derby surely makes him a threat. He has great tactical speed and can adjust to whatever the pace scenario is which is a huge advantage is a twenty horse field. Watching him run through the middle of the race never leads you to believe he will win because the rider is almost always pushing for a little more run, however, when he hits the stretch he seems to find his best gear. His jockey Javier Castellano has been voted the top American jockey for four of the last five years but is winless in his eleven Derby rides. My biggest concern with this youngster is his ability to get better with the added furlong of the Kentucky Derby. Good Magic is last year’s two-year-old champion based on his win in the Breeders Cup Juvenile and is fresh off a win in the Bluegrass Stakes at Keeneland race track based in Lexington Ky. Good Magic, like Audible, has good tactical speed and be placed wherever his jockey Jose Ortiz desires. Ortiz and trainer Chad Brown both won individual titles in 2017 as tops trainer and jockey respectively so the connections are outstanding. Magnum Moon like Justify is also undefeated after his win in the Arkansas Derby. Since the early pace was slow, he went straight to the lead and won by four lengths however he drifted out badly in the final furlong which is some cause for concern. Since he has never been worse than 4thearly in his races, he will certainly be able to get a decent position early in the Derby. Hofburg is another with very limited experience(only three races) but unlike Justify, he did race as a two-year-old. 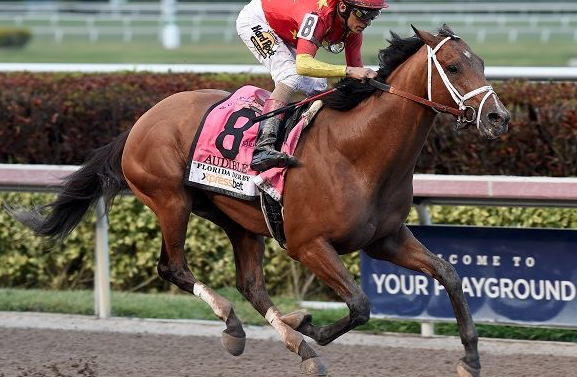 His second-place finish to Audible in the Florida Derby was a huge improvement in form and another giant leap forward would give him a chance at a placing. Remember…these picks are always subject to change…so check back often! It’s a very competitive Derby field this year and I think there is a very little separation between the top five. The likely favorite heading into Churchill Downs for the most exciting two minutes in sports will be the lightly raced, but brilliant colt named Justify. 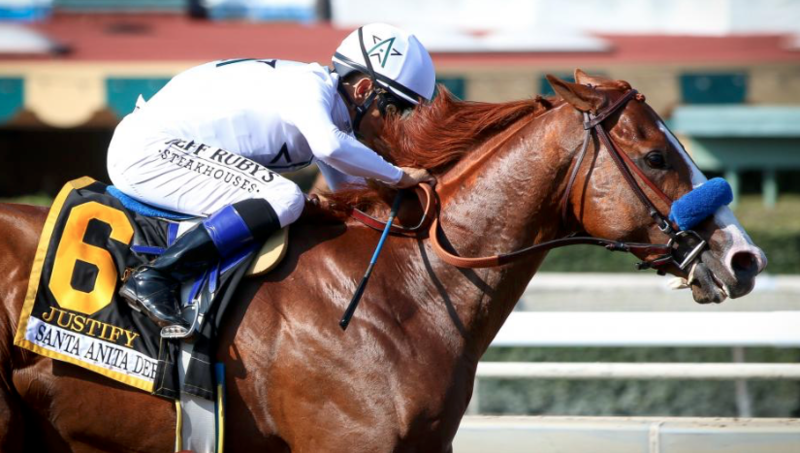 Trained by four-time Derby winner Bob Baffert(who also won the Triple Crown with American Pharoah in 2015), Justify has three wins in as many starts, with the most recent being his big win of the Santa Anita Derby over Bolt D’Oro. Justify would become the first horse since Apollo, in 1882, to win the Kentucky Derby without having raced as a two-year-old. Mendelssohn is the favorite in Europe but likely the second choice here in America based upon his brilliant 18 ½ length victory in the United Arab Emirates Derby held in Dubai back on March 31 in track record time. He like Justify will race close to the lead early and post position draw will be crucial. Both of these two colts are several lengths faster than the next group which includes Vino Rosso, Audible, Magnum Moon and Bolt D’Oro. Vino Russo may attract a lot of attention as well based upon his recent win in the Wood Memorial at Aqueduct race track in New York as well as his trainer Todd Pletcher and jockey John Velazquez who teamed up to win last year’s Derby with Always Dreaming. Vino Russo typically comes from mid-pack and the distance of the derby will be to his liking. This colt by Curlin was very highly thought of in January but was a bit disappointing in his Florida campaign. His win in the Wood Memorial while running widest of all on both turns, reinforced his connection’s earlier opinions of his talent level. Bolt D’Oro was the odds-on favorite in last year’s Breeders Cup juvenile but finished third after a very wide trip and should have finished closer with a better trip. He has finished second in his two starts this year to really good horses. First to McKinzie in the San Felipe (even though he was awarded the victory due to interference in the stretch), and then the brilliant Justify in the recent Santa Anita Derby. His sire Medaglia D’Oro is one of the hottest in the country and that heritage will certainly help him be better at the added distance in Kentucky. Justify earned a Beyer Speed Figure of 107 for his Santa Anita Derby win. 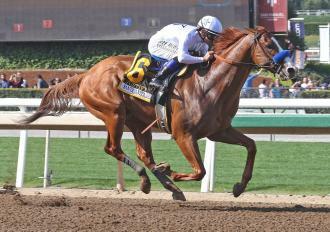 ARCADIA, Calif. – The unbeaten and lightly raced Justify, the current favorite for the Kentucky Derby on May 5, turned in his penultimate drill for the race early Saturday morning at Santa Anita, officially going six furlongs in 1:13 after breaking off at the five-furlong pole. He was one of a number of top-class runners who worked shortly after 6:30 a.m., after the first renovation break, all with designs on stakes races in two weeks at Churchill Downs. Among those also working were Instilled Regard, who is still under consideration for the Derby, as well as Eclipse Award winner Abel Tasman, Kentucky Oaks prospect Rayya, and stakes-class runners like Restoring Hope and Skye Diamonds. But the focus of the morning was undoubtedly on Justify, who was working for the first time since his victory in the Santa Anita Derby two weeks ago. He started one length back of his workmate, was two in front at the wire after five furlongs that trainer Bob Baffert caught in 1:00.80, then continued to work to the seven-eighths pole, and he galloped out seven furlongs in 1:26.80 on Baffert’s watch. Drayden Van Dyke was up. Mike Smith rides him in the Derby. Santa Anita clockers had Justify in 25 seconds for his opening quarter, 37 for three furlongs, five furlongs in 1:00.80, and six in 1:13, meaning he went the final three furlongs in 36 seconds. Justify will work once more at Santa Anita next weekend and is scheduled to arrive at Churchill Downs the week of the Derby. Instilled Regard, currently ranked 22nd on the points list for the Derby, worked five furlongs in 1:01 for trainer Jerry Hollendorfer under jockey Flavien Prat. Instilled Regard needs two defections from the current top 20 in order to be assured a spot. Prat rides Solomini in the Derby. 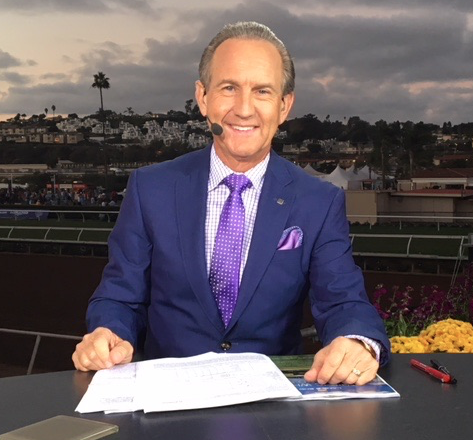 Told he remained 22nd on the points list as of Saturday morning, Hollendorfer said owner Larry Best “wants to run if he can.” Hollendorfer said he might consider the Pat Day Mile on the Derby card as a backup plan, but the focus at present was on the Derby. Abel Tasman, the champion 3-year-old filly of 2017, and the 3-year-old filly Rayya, most recently a distant second to the Derby-bound Mendelssohn in the United Arab Emirates Derby, worked six furlongs from the gate in company in 1:12.80 for Baffert for upcoming major races at Churchill Downs. Abel Tasman is ticketed for her 2018 debut in the La Troienne for older females. This was her second straight work from the gate. 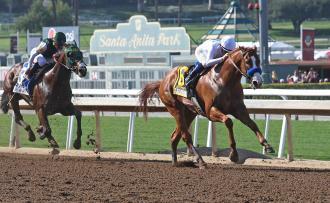 “She didn’t break very well last week,” Baffert said. Martin Garcia was aboard for the drill, but Smith has the mount in the La Troienne. Rayya, whom Baffert now trains, had Van Dyke up for the work. She broke quicker than Abel Tasman and was four lengths up with a half-mile to go, but Abel Tasman closed along the rail and was about a neck in front at the wire. Immediately after the work, Baffert asked Van Dyke if he wanted to ride Rayya in the Kentucky Oaks on May 4. “I’d love to,” Van Dyke replied. Rayya, previously trained by Doug Watson, had two wins and three seconds in five starts at Meydan between Dec. 7 and March 31. Baffert also worked Restoring Hope for the first time since the Wood Memorial, and he looked terrific, going five furlongs in 1:00.20. He could run in the Pat Day Mile – stablemate Ax Man is also under consideration for that race – or could await the Preakness on May 19, Baffert said. The tiny but mighty River Boyne worked five furlongs in 1:01.60 with Prat up for trainer Jeff Mullins as he readies for the American Turf at Churchill Downs. 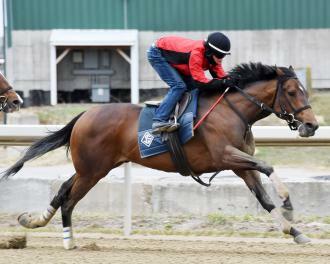 On the training track, Madame Stripes went a half-mile in 49.40 seconds for trainer Neil Drysdale in preparation for the Churchill Downs Distaff Mile, and Skye Diamonds went five furlongs in 1:01.80 for trainer Bill Spawr for the Humana Distaff. and could run if Amy’s Challenge or another filly defects. 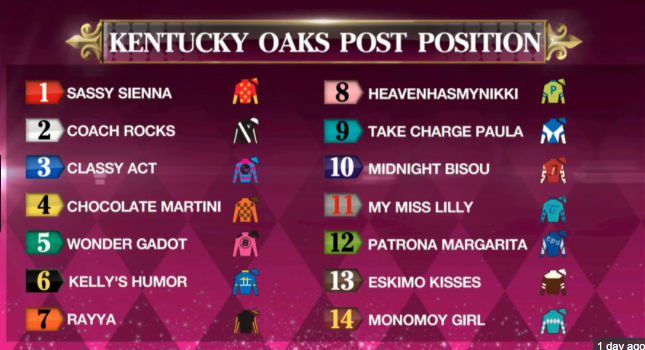 LOUISVILLE, Ky. – With entries due Monday, the final couple of spots in the Kentucky Oaks starting gate are still undecided, with the statuses of Amy’s Challenge and Red Ruby being key dominoes in how things will eventually fall into place. Amy’s Challenge, most recently third in the April 13 Fantasy at Oaklawn Park for Novogratz Racing Stables, was scheduled to ship to Churchill Downs no later than Friday after breezing an easy half-mile in about 50 seconds Tuesday at Oaklawn, trainer Mac Robertson said Wednesday by phone. Amy’s Challenge, if she goes, would add a major dose of speed to the Oaks. The Artie Schiller filly opened huge leads in both the Honeybee, in which she finished second, and the Fantasy. :: Get both the Kentucky Derby and Oaks Clocker Reports for just $19.95! 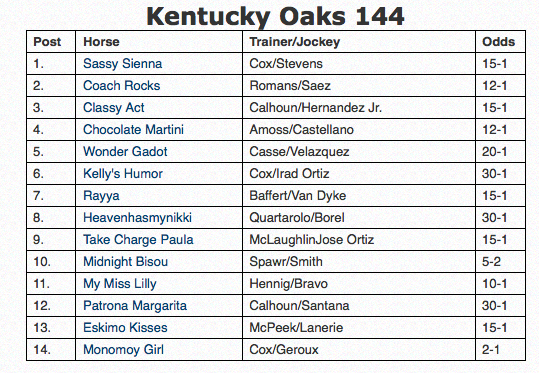 As of Wednesday, and in order of preference through qualifying points, these are the 14 3-year-old fillies who would make up the lineup for the Grade 1 Oaks if all go: Midnight Bisou, Monomoy Girl, Sassy Sienna, My Miss Lilly, Chocolate Martini, Coach Rocks, Rayya, Wonder Gadot, Eskimo Kisses, Take Charge Paula, Blamed, Amy’s Challenge, Patrona Margarita, and Classy Act. An also-eligibles list of up to four fillies can be listed on the program, with scratch time set for the morning of the race. If Amy’s Challenge or another filly drops out, then Red Ruby could get in the Oaks as the first alternate. Owned by Sandra Sexton and Brandi Nicholson, Red Ruby had been doubtful for the 1 1/8-mile Oaks since she missed the Fantasy after kicking a ladder in her Oaklawn barn in early April, requiring stitches in a hind leg. 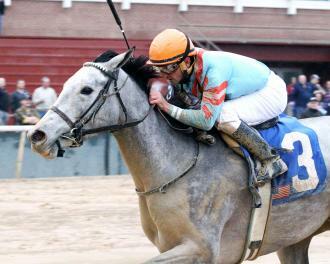 But trainer Kellyn Gorder said this week the gray filly has rebounded very well and has been training forwardly at Keeneland, where she was scheduled to breeze to determine whether she will be entered. After Red Ruby, the next alternates are Heavenhasmynikki and Kelly’s Humor. 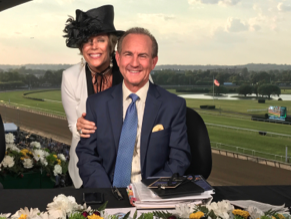 Heavenhasmynikki’s owner, Ron Paolucci, said he definitely wants to run, while Brad Cox, who already has Monomoy Girl and Sassy Sienna in the Oaks, said Kelly’s Humor could be diverted to the Eight Belles. Justify was given a 107 Beyer Speed Figure in winning the Santa Anita Derby. This I know for certain after the final round of American Kentucky Derby preps: Santa Anita Derby winner Justify is at least five lengths faster than the winners of the other races. If this was Big Brown or California Chrome’s year, I would pronounce Justify a cinch. However, the other final prep winners are pretty consistent. Not super fast, but consistent. And UAE Derby winner Mendelssohn is an absolute cause for concern. Going back to the Louisiana Derby, I have analyzed seven final Derby preps from a Beyer-figure standpoint, including that amazing performance in Dubai. Justify earned a 107 in the Santa Anita Derby. Yes, Justify had a tactical advantage, but I looked at his performance this way: a colt making his third lifetime start ran away from three-time graded stakes winner Bolt d’Oro, easily the most accomplished colt in this crop. Justify has now posted a 104, 101 and 107 series heading for Kentucky. Many will be looking for reasons to beat Justify. I won’t be among them. :: Kentucky Derby advance PPs are now available! Mendelssohn won the UAE Derby at Meydan by 18 3/4 lengths. There was no form to help with that race specifically, but there was enough American dirt form in the World Cup to make a UAE Derby Beyer and be confident in its accuracy. We gave the race a 106. The UAE Derby was 1 3/16 miles, and the World Cup was 1 1/4 miles. We have charts that explain the relationship between times at those distances. “In the World Cup, the horses that ran 2-3-4-5 were all U.S. horses and we knew what their figures were like,’’ Andrew Beyer said. Thunder Snow won it, followed by West Coast, Mubtaahij, Pavel, and Forever Unbridled. The World Cup time was then compared to the UAE Derby’s time. Beyer team member Randy Moss and Beyer himself looked at the data independently and came to the same conclusion on the UAE Derby. Thunder Snow’s time was going to equate to five points faster than Mendelssohn’s. Thus, the 106. 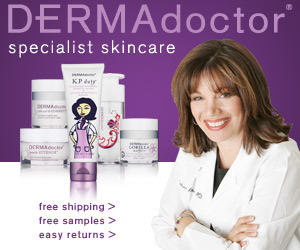 “We would never have published this figure if we were shaky about it,’’ Beyer said. Is there a chance the UAE Derby was a one-off? Yes. Mendelssohn had never done anything close to that before. The colt got an 86 in his Breeders’ Cup Juvenile Turf win. It’s also possible this colt was just waiting to get on a dirt track. If he was trained by somebody other than Aidan O’Brien, I would still be skeptical. But you know O’Brien has thought this through and has a plan. Mendelssohn is a definite contender. Audible, with two 99 Beyers in 2018, dominated the Holy Bull by running near the pace and was visually dazzling when he came from far back to win the Florida Derby, so he may have another Beyer jump in him. I think this colt is better at this stage than 2017 Derby winner Always Dreaming. But Always Dreaming ran against a much weaker group. Arkansas Derby winner Magnum Moon is unbeaten in four starts. None of the races has been close. He has posted a 95, 88, 97, 98 series, with the best Beyer coming in the Arkansas Derby. I love how this colt runs and really appreciate how competitive he is. I doubt, however, that he is ready for another forward Beyer move. I think we know Magnum Moon’s quality and his limitations. Vino Rosso got a 98 in his Wood Memorial win after an 80, 70, 90, 85 series. It is definitely possible this was a significant 3-year-old move forward that we often see in early spring. If the colt has just improved that much, it makes him a contender to be part of the superfecta. Good Magic got a 95 in his Blue Grass win. I was unimpressed. I think he peaked with that 100 in the Breeders’ Cup Juvenile when he ran like a very serious horse. His other three races produced Beyers of 82, 89 and 89. And that fire he showed at Del Mar has been absent in his two 2018 races. When he made his move in the Blue Grass, I thought Good Magic was going to run away from the field. Did not happen and I don’t think he is going to go any better in the Derby. Noble Indy got a 95 in his Louisiana Derby win which followed a 77, 84 and 91 series. So the colt’s Beyers keep rising, but he would have to make another significant jump at Churchill just to hit the board. I liked my 40-1 on Justify when the bet was made in late February. I obviously like it now that Justify is going to be the Derby favorite. I would like it even more if Mendelssohn would miss his flight to Kentucky. Firenze Fire slipped into the Kentucky Derby field after Runaway Ghost bowed out with an injury. With Saturday’s final two Road to the Kentucky Derby races, plus the defection of Sunland Derby winner Runaway Ghost owing to injury, the potential Derby field is now set, with the current bottom level for making the 20-horse field a record 39 points. The Kentucky Derby is May 5 at Churchill Downs. Much can and likely will change over the next two-plus weeks, but at the moment Firenze Fire is 20th on the list with 39 points. Combatant, ranked 21st with 32 points, is on the bubble. If there are no defections from the current points list, the 39 points needed to make the field would be the most required in the six years since Churchill Downs switched to a points system. 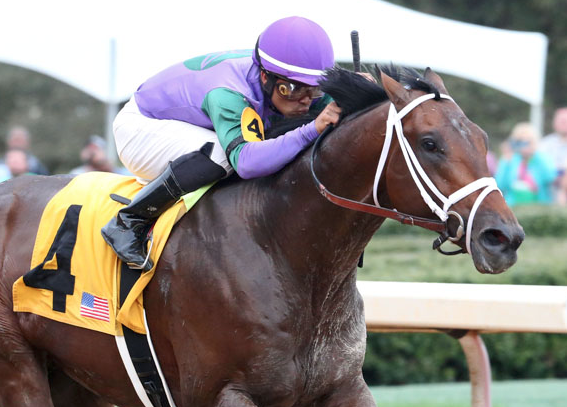 The Arkansas Derby and Lexington Stakes on Saturday both proved critical to determining the Derby field, with at least two horses securing berths. Solomini moved into the Derby field with the 20 points he picked up for a third-place finish in the Arkansas Derby behind one-two finishers Magnum Moon and Quip, who already were safely in the Derby field owing to prior victories in the Rebel and Tampa Bay Derby, respectively. Solomini has 54 points. At Keeneland, the 20 points earned by My Boy Jack for his victory in the Lexington Stakes vaulted him into the top 20, with 52 points. Magnum Moon got a Beyer Speed Figure of 98, while My Boy Jack got a 90. Magnum Moon is one of four colts trainer Todd Pletcher has in the Derby field, along with Audible, Noble Indy, and Vino Rosso. 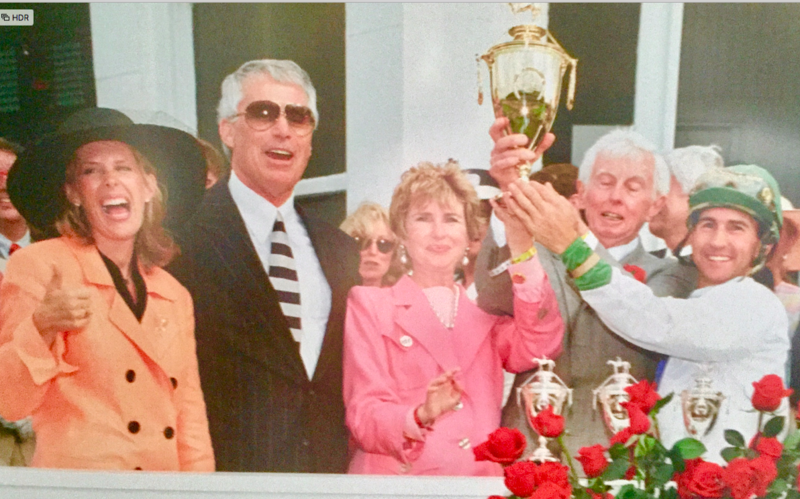 Those four, collectively, won the Arkansas Derby, Florida Derby, Louisiana Derby, and Wood Memorial, making Pletcher the first trainer to win four of the six biggest final Derby preps – along with the Santa Anita Derby and Blue Grass Stakes – in the same year with four different horses. There are 19 horses in the top 20 who qualified through the traditional, 35-race Road to the Kentucky Derby schedule, which began last Sept. 16 with the Iroquois Stakes at Churchill and concluded with the Arkansas Derby. The 20th spot is reserved for Gronkowski, who secured his berth via the inaugural, seven-race, European Road to the Kentucky Derby schedule, which carved out a spot for the horse who topped that stand-alone points list. 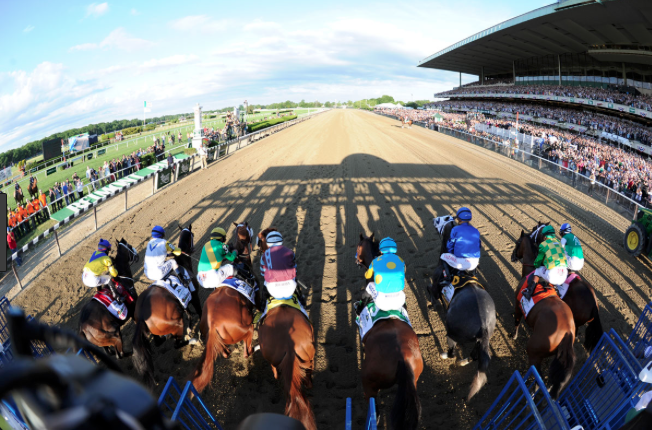 A maximum of 20 horses can run in the Kentucky Derby. At entry time on May 1, however, up to four also-eligibles also can be entered, their order based on points. 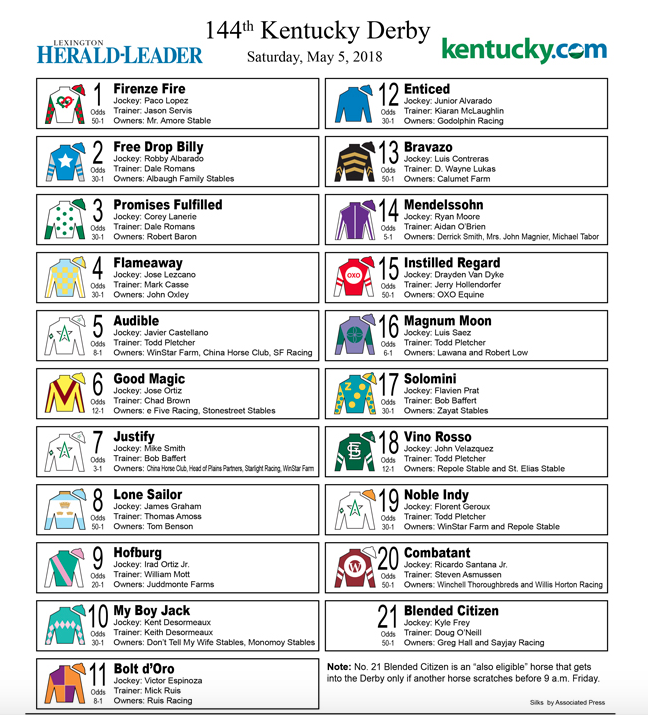 They can make the field, in that order, if is there is a defection from the 20-horse field by scratch time at 9 a.m. Eastern on May 4, the day before the Derby. After that, the field is set. Immediately following the Arkansas Derby and Lexington, it appeared Firenze Fire would be the bubble horse, but he moved back into the top 20 owing to Runaway Ghost – who had 50 points – emerging from a workout on Saturday at Sunland Park with an apparent hairline fracture to his right front cannon bone. Fincher said Runaway Ghost will undergo more diagnostics. Runaway Ghost is expected to return to racing following a recovery period. Runaway Ghost was scheduled to fly to Kentucky on Tuesday. Runaway Ghost races for his breeder, Joe Peacock. Steve Asmussen, who trains Combatant, was in no hurry on Sunday morning to make a decision on the Derby regarding Combatant, who is one defection away from making the field. Combatant, who finished fourth in the Arkansas Derby, was scheduled to join Asmussen’s string at Churchill Downs regardless of his finish on Saturday, as Asmussen is based at Churchill Downs after the close of Oaklawn and Fair Grounds, where he has strings during the winter. Asmussen recalled that last year, “Lookin At Lee was 22nd on Monday of Derby Week, and on Saturday he ran second,” a reminder of how much can change over the next two-plus weeks.